Jillian Dempsey has been a favorite makeup artist of mine for the past 15 years. She has worked with a number of notable faces—including Kirsten Dunst, Jennifer Lawrence, Angela Bassett, and Kate Winslet—and she had the cool California girl look down long before beach waves and dewy makeup became a thing. She brought this effortless, ethereal west coast vibe to the home vanity when she launched the groundbreaking, finger-friendly (no brushes required!) Delux Beauty line, which featured nail polishes named after old-school 1960's cocktails ("Salty Dog" and "Kir Royale"), lip glosses with atypically masculine names ("Vinnie" and "Odin"), and the infamous matte electric blue eyeliner "Chimpy." It was such a refreshing departure from the usual offerings one would see at Sephora or Nordstroms, and I was disappointed to see the line shut down in 2007. Recently, though, Jillian launched an eponymous new line, this time using naturally sourced and organic ingredients. First came the Khôl Eyeliner (to be reviewed later), and then this year, she launched her Lid Tints—chic, white mirrored compacts with wide pans of the easiest eyeshadows you'll ever put on. 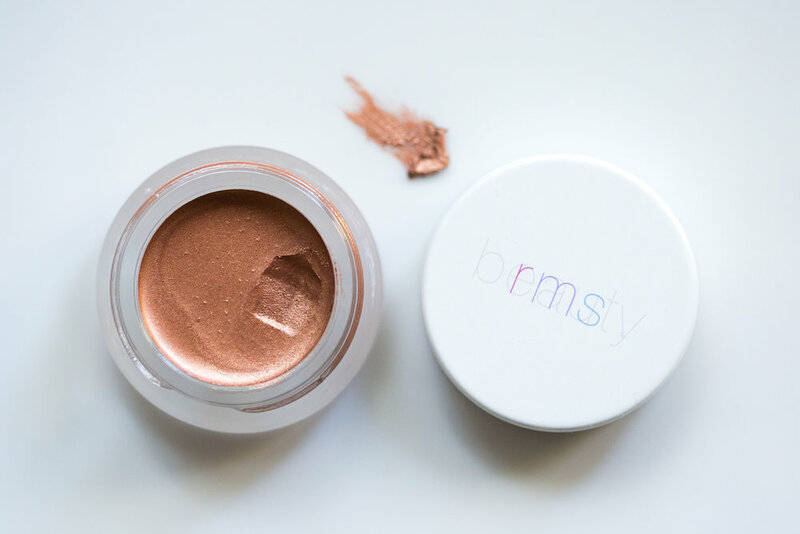 We've long had matte, shimmering, glittering, iridescent, and creamy eyeshadows at home, but that modern, dewy eyelid that's become ubiquitous on runways has proven elusive in real life. These Lid Tints give just that—a translucent wash of color. The formula boasts organic, skin-loving ingredients like shea butter and coconut oil, but with corn starch to lend stability throughout the day, so the whole affair doesn't congregate in your creases by lunch time. Kristen Stewart modeling the Lid Tints. 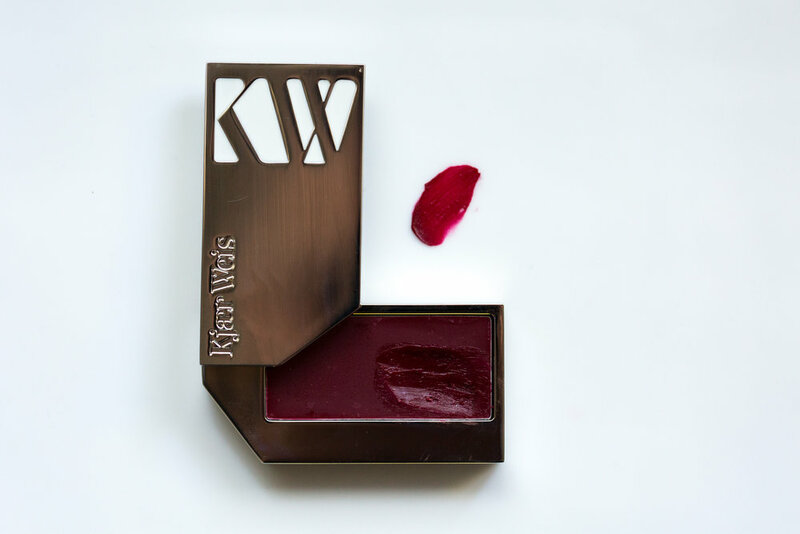 You can wear it as a primer beneath a powder eyeshadow if you want to anchor color. Or layer on top of powder if you want the color of the powder with a more natural, gleaming look (check out Reese Witherspoon's Oscar look here for reference). But my favorite is to wear the Lid Tints solo for a clean, more modern look. Dempsey continues, "I love to smudge and blend them into one shade which allows the freedom to customize how much pigment you wear on your eyes." You can't go wrong with any combination of these lid tints, but I'll break down the color options. Lilac (pictured below on the right) is the safest shade, or as Dempsey puts it, "the new neutral." . A cool lavender tinged pink beige, with no shimmer and steers clear of being too precious. It's universally flattering and a pretty way to revive the winter pallor many of us are contenting with in March. Plum (pictured above on the left) is a dusky, neutral greyed mauve with zero shimmer, or as Ellen Pompeo puts it "everything." I find myself swiping it all over, or concentrating on the outer half of my eye. And I can't think of anyone this wouldn't look smashing on. Check out a mini video tutorial showcasing this lovely tint here. Dempsey recommends a black eyeliner with this shade. Swatches of Lilac (top) and Plum (below). Smoke is the darkest, most pigmented of the shades. 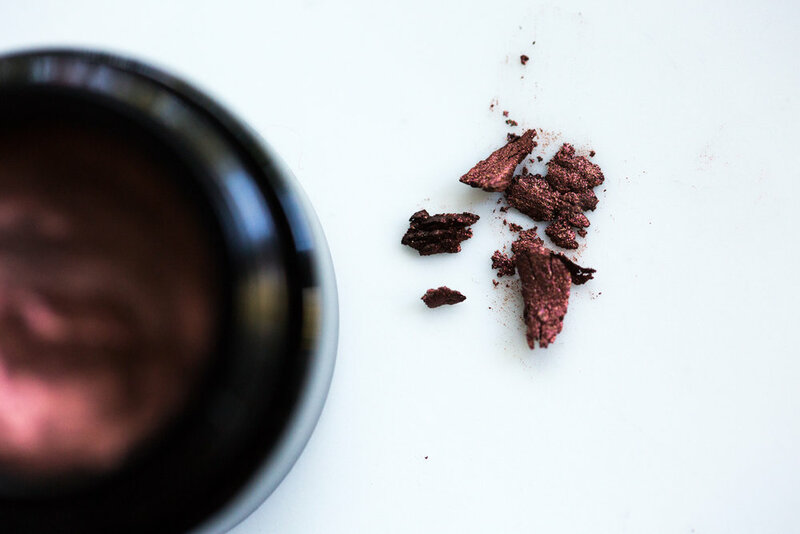 It's a modern charcoal spiked with the tiniest hit of shimmer, but still maintains the understated translucency as the rest of the Lid Tint wardrobe. If you're smokey eye novice, this would be a good shade to play with, it's really hard not to get it right. It looks both edgy and ethereal when blended with Lilac. Just make sure you follow Dempsey's suggestion of pairing it with a black eye liner. Bronze is likely to be the top seller of the line. A neutral mink-y, yet golden brown, laced with the finest gradient of shimmer. I love it blended with either the Peach or Lilac shades. Dempsey suggests pairing this with her brown eye liner. Lastly, Peach is the most exciting offering and very much in the vein of that west coast aesthetic I referred to earlier. While living in Japan, my local friends were obsessed with finding the perfect light coral shadow, which surprised me. I thought peach/coral/orange shades belonged solely on lips or cheeks. But now I understand, and this gets it exactly right; a dab in the center of the eyelid or color-washed across the lid is an easy hack to draw attention to the eyes in the most unassuming way. It's a sheer, unexpected, and pairs beautifully with a brown eyeliner. 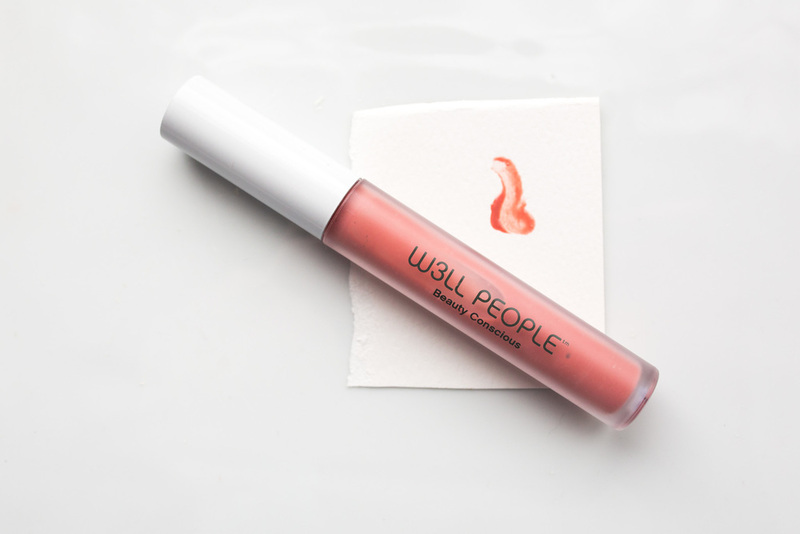 Peach would be stunning on deeper complexions or an accomplished tan, but would offer pale faces a little kick of life. Below are all five colors in the collection again for reference. $28 a pop and available from jilliandempsey.com. Video tutorials can be found here.